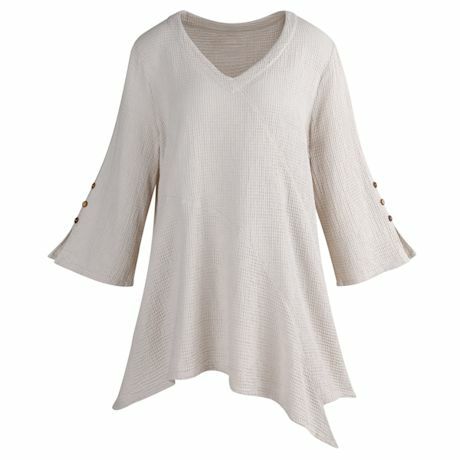 A down-to-earth yet hip look, with diagonal seams adding energy to the front of this extra-length top. 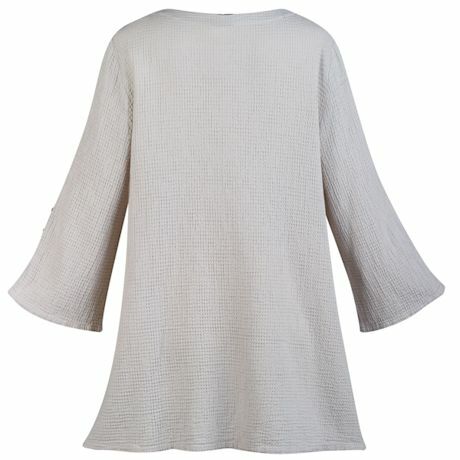 Lightweight fabric is stitched into a flattering V-neckline; ¾-length sleeves have a button detail. Machine wash. 100% Cotton. Imported. S(6-8), M(10-12), L(14-16), XL(18), 1X(18W-20W), 2X(22W-24W); 29"L.